Without a picture of the item, it is a bit difficult to know if we got this one right, since it is a unique request, however we decided to run with the plan that we felt fit. We located a free online plan for a children’s high-low swing. 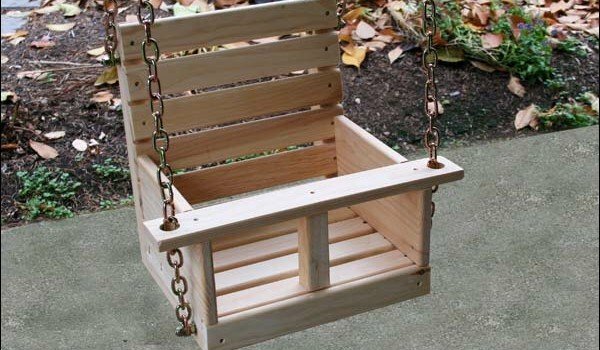 If you remember back in the day, before everything was made of injection molded plastic (and in China) swings for babies and children were generally made of metal or wood. I remember singeing myself as I jumped up to the metal swing that was baking in the sun all day. If you remember back to these swings, they weren’t very comfortable, but they were pretty safe. 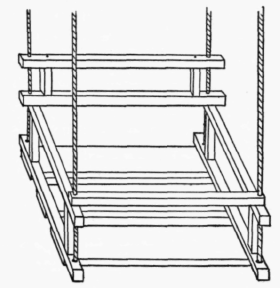 The plan above (click the link for the plan) is lacking a center piece that would stop a child from sliding out. However, I am including it here so that you have a decent idea of the different construction methods. After searching online for a bit, I located a product for sale that seemed to fit the needs of our visitor. However, this was not a wood plan. It was a finished project. We utilized that project as a basis for our plan (Sketchup plan). Click on the first image below for the link to the Sketchup plans. This version of the child’s swing seemed like a very nice update. I have included a number of images below. If you are having trouble with the construction, please let me know. I can’t find the pattern. Can you please email it to me? The link to the plans is no longer valid. Can I get the plans elsewhere? The link should be valid now. Do you have a copy of the plans that you can send me or a link that you can send me with the instructions on how to build this? I’d like to build this for my daughter for Christmas. What type of wood did you use? I’m I correct to assume you used 1x3s for the slats and 2x2s for the middle piece and the back? How did you attach at the top? Do you run both chains all the way up or attach the front chain to the back one halfway up? 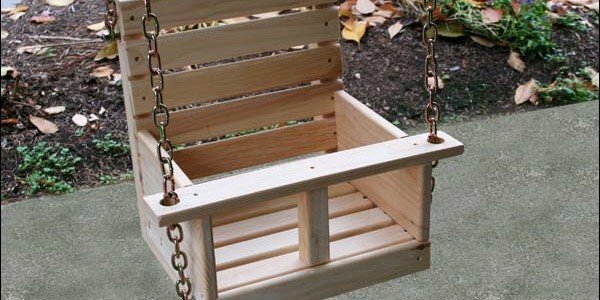 The swing is build from Pine, but the wood type could be just about anything. I would just avoid anything too course and would also avoid using pressure treated due to the chemicals. A cheap Pine might have some sappy knots. Poplar is always a very good choice for projects like this. Reasonable in price, easy to work, smooth grain. You are correct with regard to your dimensions. 1×3’s and 2×2’s. You can attach in a variety of ways. It could be a matter of saving material. 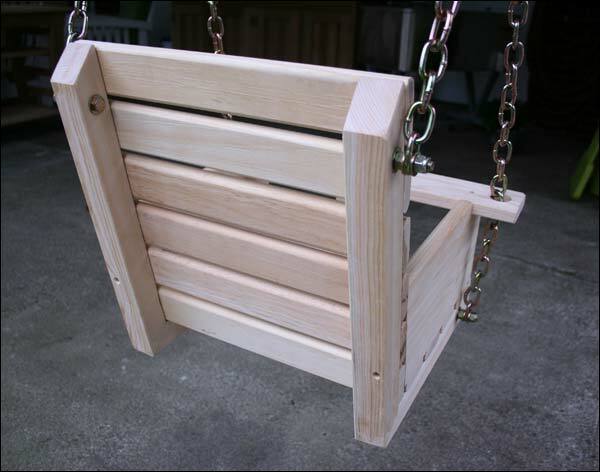 Personally, I used a coated 3/16″ cable (this dimension is overkill for a child’s swing. 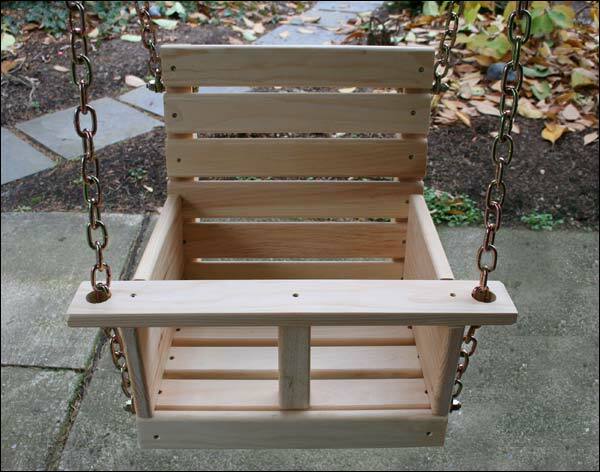 I used 3/16″ since it was a 2 person porch swing) for my latest swing project an ran the front and back to the top. There is no right answer for the attachment. Just some trial and error. You might see a little easier swing action if you attach your chain halfway up. how tall is the back? 19″ from the bottom of the swing to the top of the upper back slat. The chain could be chain link from a big box store, or you could use a coated cable. I used coated cable for my last swing to avoid any pinching parts. The amount that you use will be dependent on what you hang it from. 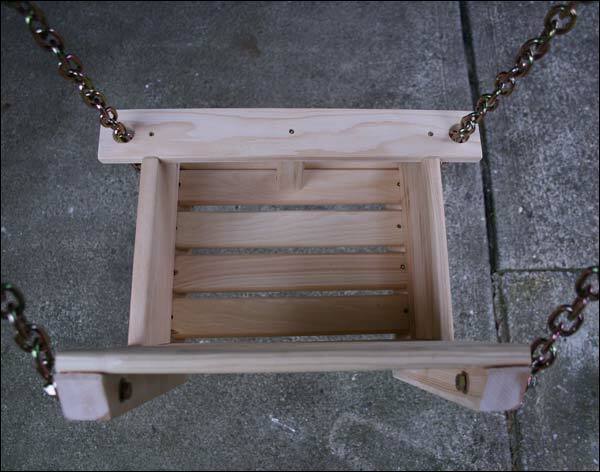 For the upper attachment, I used a swing hook set (from Lowe’s). They include a plate that keeps the eyehook from being able to shift with the motion of the swing. You will likely see what I am referring to while at the store. You can also find a variety of specialty hardware at Amazon. For the attachment to your “seat”, you could use a threaded eye-hook. 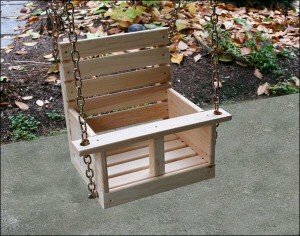 I am desperate to buy just the swing seat you are showing, is this possible, due to a very sad situation I find myself caring for my granddaughter of 18 months. She screams when put into the plastic moulded seat I have purchased, but loves the wooden seats in the parks which are like the one you are showing. Your help would be very much appreciated. 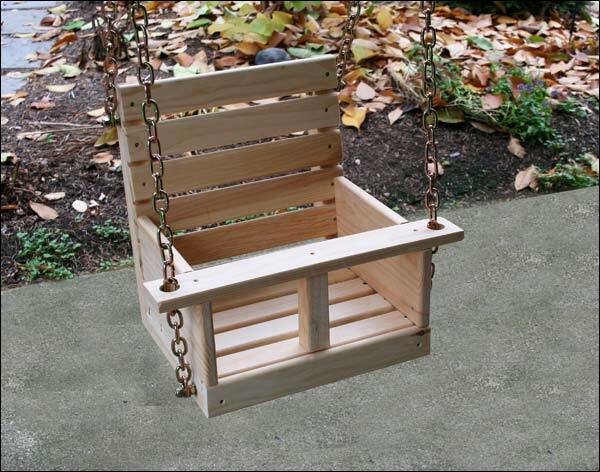 There are a number of similar swings for sale on Amazon. Take a look at the search below. Good luck.